Guys, My laptop came with a recovery partition(SSD) that had the recovery file to recover my computer. I want to know how can I make an exact same recovery file that came stored in the recovery partition(SSD) with my HP envy 14 TS sleekbook? Get a usb that is at least 16 gb (at least that was the size I needed). 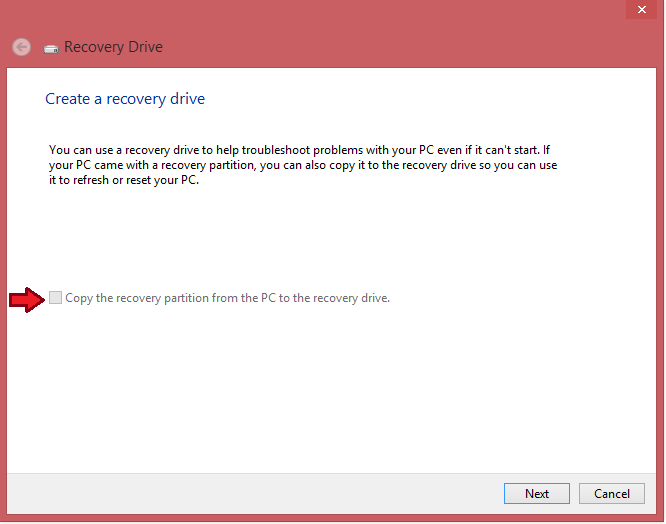 Then go to the option "Create a recovery drive" and click the box to copy your recovery partition onto this large usb. After this you will be given the option to delete the partition off your computer, but I wouldn't recommend that. I mean, I want a recovery partition not a recovery drive or CD/DVD. Like the one that my laptop came with initially.